Jose graduated in Barcelona in 2013 and moved to the UK that same year. He lived in Manchester volunteering in a vet hospital for just under a year before taking on a role in Gloucestershire working out of hours in a hospital taking care of inpatients. 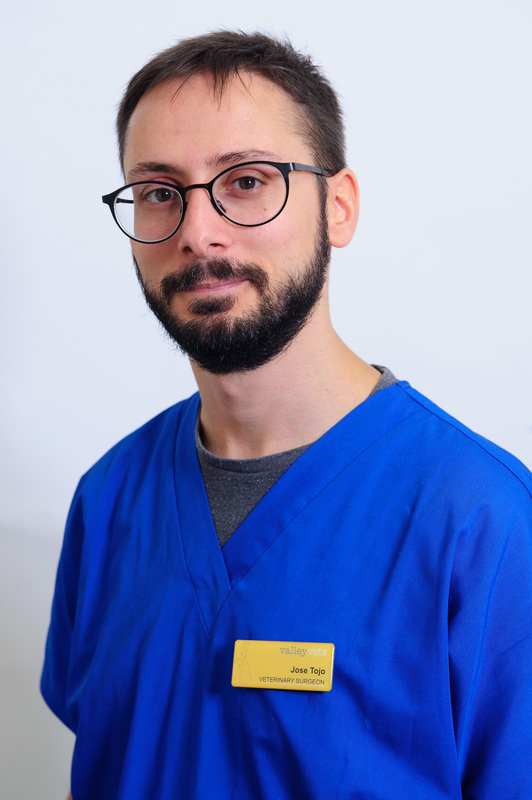 Jose then went on to work in Manchester for two and a half years in general practice before joining Valley Vets September 2018. When he's not at work, Jose enjoy's playing video-games, reading and exploring his new Welsh surroundings.